Some dogs are naturally hard-wired to work on the farm. They’re called herding dogs, livestock guardian dogs (LGD) and scent hounds. Herding dogs, also known as working dogs or stock dogs, control the movement of animals. Guardians protect livestock from predators and theft. Scent hounds are used to track down and kill vermin. All these dogs thrive in environments where they protect animals and land. Many working dogs are brought to farms as puppies to be raised alongside the livestock and veteran farm dogs. This helps pups learn their role. Guardians view the livestock as part of their pact, care for them, and will learn to protect them at all costs. Herding dogs often live with the family and serve as an everyday companion as well as a furry farmhand. Scent hounds track down a varmint’s smell and kill it before it burrows through the ground, leaving divots and holes which can injure livestock. Herding dogs, scent hounds, and guardians perform many roles on today’s working farms. Explore five dogs worth adding to your ranch. Australian Shepherds nicknamed “ghost eye” by Native Americans, are hands-on herding dogs that want to be part of the action. These high energy dogs are not afraid of confrontation. They weigh about 50 pounds, bark to command the livestock’s authority, and are pushy. Aussies work quietly and respond to the herder’s commands to keep cattle, horses, goats, or sheep together. These fearless dogs know how to turn stock back with or without force. They’ll nip at the animals’ heels, will grip the face or nose, or give a penetrating stare so livestock know who is in charge. Over time, Aussies will learn when to apply force and when to just stand its ground. Australian Shepherds are great for rotating cattle and work the head of the stock. Some cows are reluctant to leave their pasture and often an Aussie’s presence is enough to get the herd to move. These dogs, with their intense stare, draw an invisible circle around the stock. If the Aussie pushes the herd in one direction, and they respond, the dog won’t cross the invisible line. If the stock won’t listen, the dog may use grip, but these dogs seldom bite stock that are used to them. Bernese Mountain Dogs (or Bernese Sheepdogs as they’re sometimes called) come from the canton of Bern in Switzerland. They have been used to pull produce carts and have served as livestock guard dogs throughout history. Berners are large, sturdy workers that do well in cold climates. They’re skilled at herding, obedience, agility, and tracking because they’re easy to train. These docile and good-natured dogs excel at drafting and will pull carts and wagons to and from market. Some people enjoy drafting as a pleasurable hobby; others still rely on the Berner to pull carts for work. 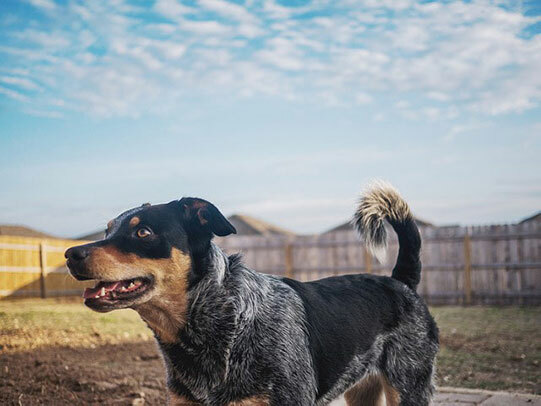 Blue Heelers, also known as Red Heelers and Australian Cattle Dogs, develop a strong attachment to their owners and are protective of people and their possessions. Historically these dogs have been used by drovers to move wild cattle by nipping at their heels. The dog’s instinctive grip can make wild or stubborn livestock move. Cattle dogs will grip and release the stock’s weight bearing leg at the coronet or fetlock while ducking to miss being kicked. These dogs can also use force at the head of the livestock to encourage reluctant cattle to travel long distances to the stockyards. These fast-learning dogs can be taught to carry out routine tasks after learning it a few times. Then the Australian Cattle Dog can work with no supervision to solve complex problems. They’re smart and love working which makes them ideal for ranching, agility, and flyball. This wash-and-wear dog requires little grooming and has a high level of activity so when you’re ready-to-work, they are, too. 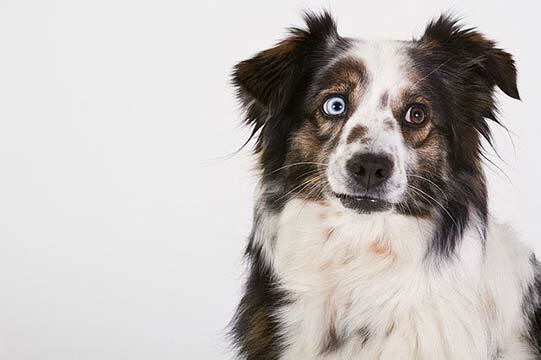 Border Collies are thought by many to be one of the smartest domestic dogs. These workaholics were born to herd and have an instinct to work and provide companionship. If they don’t have a job to do they’ll get bored, act neurotic, and find a destructive outlet like chewing shoes and pillows. Border Collies have an instinctive urge to herd and do well with farm labor. These medium-sized dogs are the lord of all they survey and keep a close eye on livestock. Border Collies listen for the rancher’s commands or whistle to herd cattle, sheep, pigs, ostriches, and poultry by circling them, nipping, and barking. These dogs will drop to a crouch and stalk the livestock with a fixed stare. Border Collies can be trained to help pull hay off the back of a truck and can do well in agility competitions. It’s been theorized that Dachshunds came from ancient Egypt because archeologists found engravings of stubby leg dogs and mummified wiener dogs. The tenacious, perseverant, and stubborn dog may have been used to hunt small game. Dachshunds can be used to protect the farm from vermin. These pests can contaminate feed, gnaw on electrical components, and burrow through the ground causing holes that trip livestock. 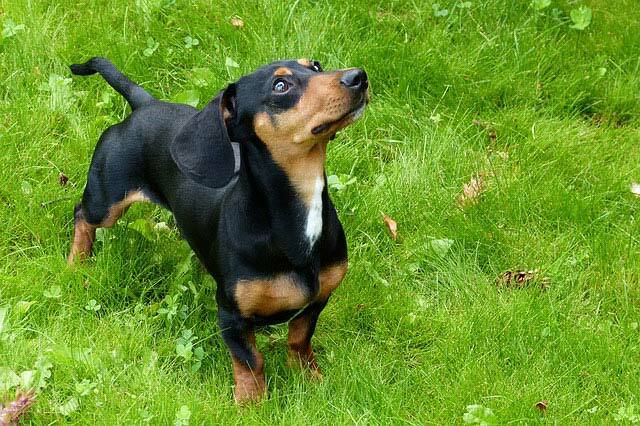 The Dachshund is a mighty little hunter that can be used to control rodents before they destroy the livestock’s health or chew through structures. Ultimately, if you’re looking to add a dog to your farm consider these five hard-working breeds which will make your job easier by protecting and herding livestock, pulling heavy loads, and protecting the farm from pests.